The following is a guest post from Awesome Ladies Creative Team member Vanessa. Today she’s sharing a DIY Stitched Pie Chart tutorial, a totally different approach from my traced pie chart tutorial, but even more awesome with stitching and Currently List. Last week, I shared some images of my January Awesome Ladies projects and one of these projects was a set of Currently pie charts to use in my planner. Someone on Instagram asked for a tutorial and here it is! First, you will need to assemble your papers. 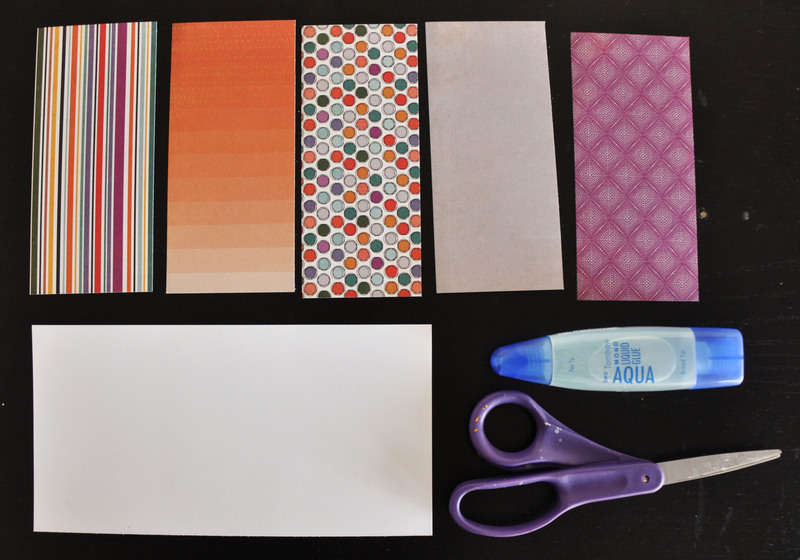 In my case, I have five different patterned paper from Second City and some Currently List sticky notes. 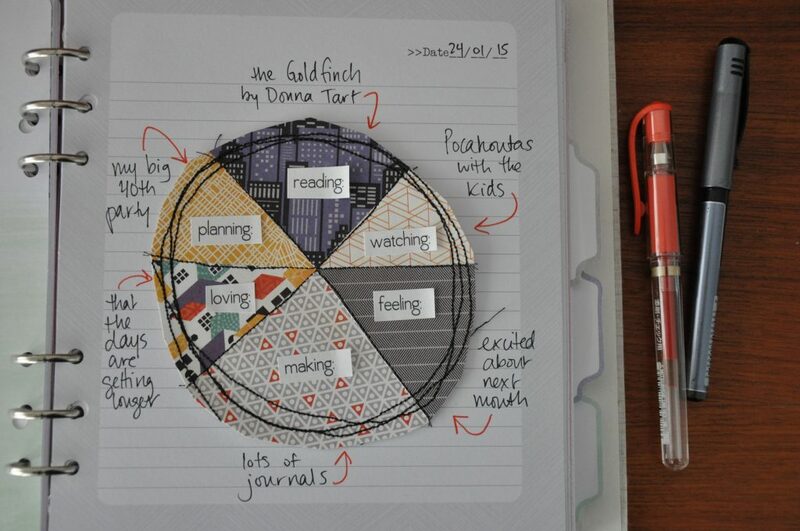 Once you’ve chosen your papers, pull out a pice of scrap paper just a little bigger than the size of your pie chart. 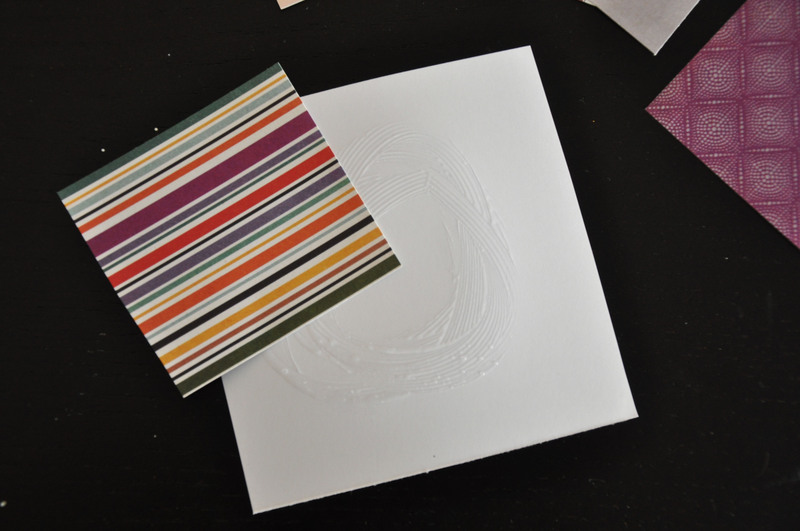 Put some glue in a circle on it and adhere your first square of paper. Make sure you have a true point in the middle of your circle. This is where all of the papers will meet. I simply eye ball the different sizes of the triangles and try to have a colorful pattern bordered by a more solid one. 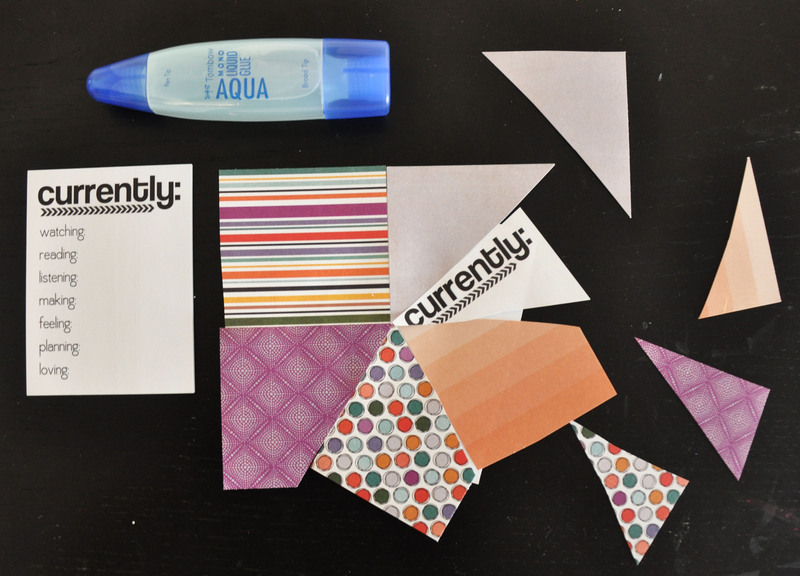 Youcan overlap the papers if you are having trouble making a true point or having straight edges for your triangles. Once the paper is adhered, I turn on my sewing machine. I run them through in messy circles, making sure there are 2-3 lines around the size of the pie chart I want. 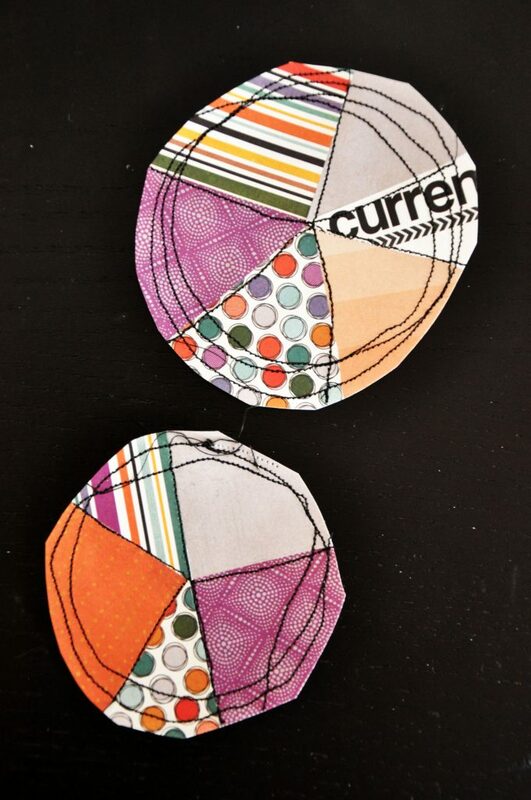 I also sew down each edge of the paper triangle down the center to make the divisions between the papers more clear. Finally, I cut up a wonky circle around the stitching and I’m done! Remember : change the stitiching and change the look. 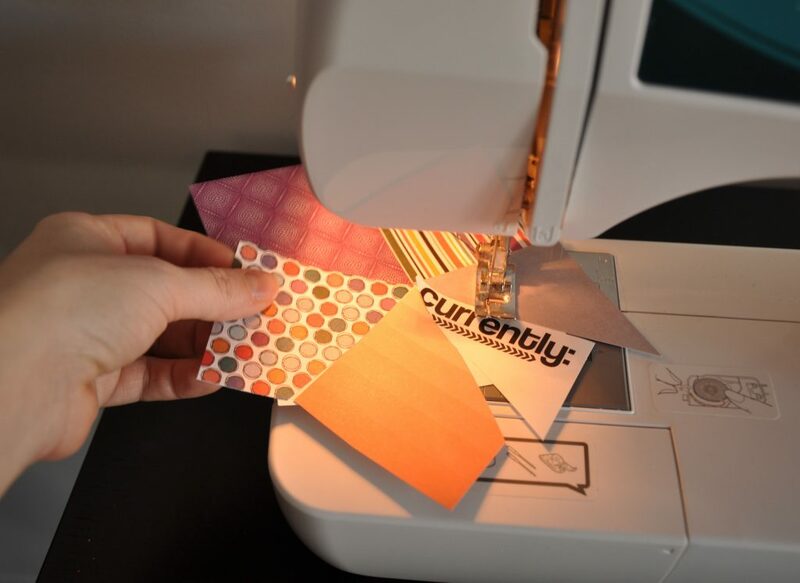 Why not try a zigzag stitch? Or use colorful thread instead of black! 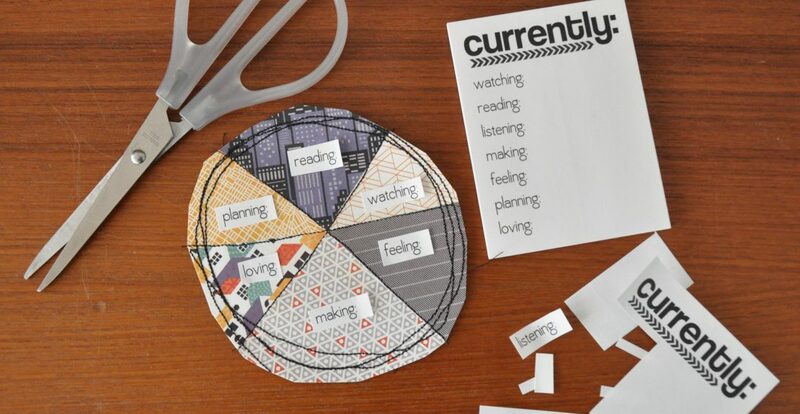 Kristin has a great tutorial for making pie charts which is completely different than this one. Check it out here.